It's a must-win match for both Puaikura and Ba. 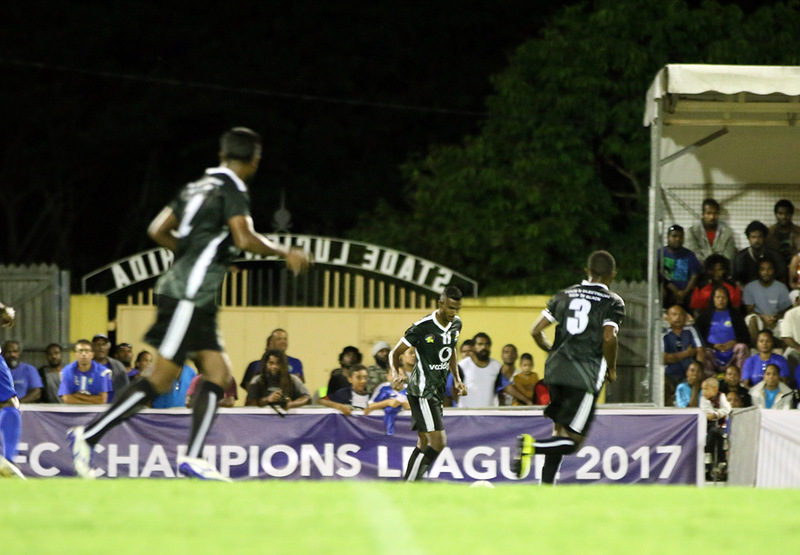 Ba FC left it late to gain the 1-0 lead and managed to hold out Puaikura FC until the final whistle here at Stade Yoshida in Kone, New Caledonia. Substitutions: 3. Anthony SAMUELA, 5. Paul POILA, 6. Kimiora SAMUELA, 11. Dwayne TIPUTOA, 15. Junior MATANGI, 18. Conroy TIPUTOA. 84′ Ba is picking up the tempo as Meli CODRO drives the ball down the line. But his efforts are timed as MOHAMMED quickly disrupts any further penetration into the box. 80′ PEREZ is down injured and attended to by team physio. Play continues as he’s been treated on the sideline. 73′ YELLOW CARD | Manasa NAWAKULA is cautioned for taking out Harlem SIMIONA who seems to be injured as a result of the clash. 71′ Play is resumed and Ba are in control causing delay. Puaikura are hanging on tight and treating the play with patience. 68′ Injury Pekay EDWARDS is down and is receiving treatment from the team physio. 45+2 WAQA collides with LITTLE in front of the box and receives caution but not enough for another card. 45+1′ YELLOW CARD | Saula WAQA is cautioned for pushing. MOHAMMED takes the kick and it lands in front of EDWARDS who tries his luck with a nippy bicycle kick but is off target. 44′ SIMIONA looks to cross but knows its difficult. He looks to pass back but there is no support and he is pushed down by Ba’s defender. Free kick has been given to Puaikura. 43′ An altercation in the Puaikura’s box seems to have FOWLER and number of Ba strikers in it with the referee. A warning is given and play resumes with kick from Puaikura. 8′ Abbu ZAHID tries his luck from close range but Liam LITTLE knocks it over the crossbar.